Looking for that special pony or set completer? Post wish lists here! SS Cupcake ANY CONDITION! i'll probably deflock her! - Any sweetie belle not themed. I do not like to have any accesories. Missing SHS earrings are ok too. The ponies does not have to be mint, but i do not buy ponys with missing parts, a lot of cancer, mold or with different body / head colors, even if this is difficult to notice. I dont mind; little haircuts, 2 - 3 missing plugs, ink marks, dry hair, one or two dots of regrind, little rubs to symbols. One or two dots of cancer are ok on htf ponies. Faded hair. 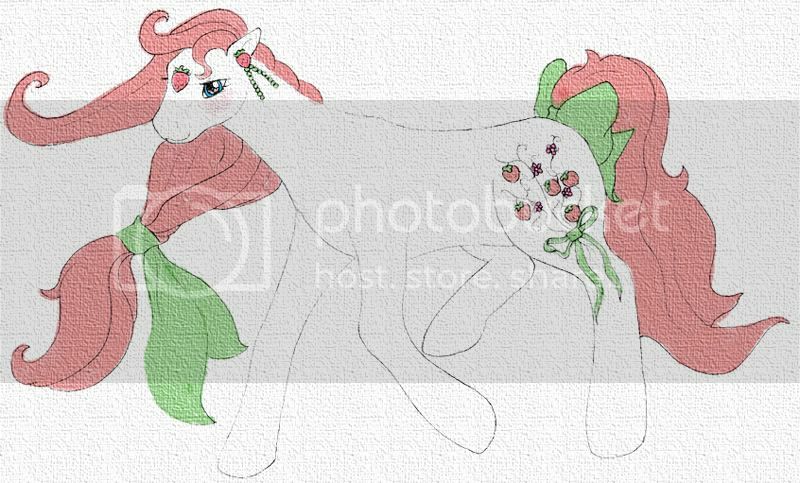 Favourite ponies (for art and such): Fizzy, Tex, Mimic, Thundercloud, Cupcake, All the sweetberry ponies, Beachball, Lofty, Citrus sweetheart, Fluttershy, BigMac, TwilightSparkle, Sweetcream scoops. Favourite animal: Dragons, horses in all their variants, lions, kitties, wolves. Favourite books (dont send me books, they are heavy!! ); anything by Neil Gaiman, discworld, song of ice and fire, lord of the rings, harry potter, anne rice's vampires. Things i collect: Magic the gathering dragons (in foil), i like bella sara cards and LPS, but im not actively collecting these. Do not like jewellry, zombie/gorey stuff, super pink stuff. bump! my birthday is coming and i have some money to spend! Id love to have the princesses, cupcake or any of the sweetberries or the sunshines. I've got these two for sale if you're interested. I have MGR Sunnybunch and MGR Brilliant Blossoms. I'm home tomorrow and would take some pictures for you then. wanted | sale | puuush | deviantart avatar by emuel, sigs by lina and sds. thank you! Sorry, my mistake for not being clear...silly me!